At 35 years old, Pac-Man has managed to remain a popular video game for decades. If only his dated graphics weren’t really showing their age. 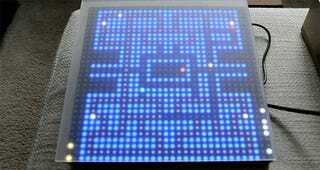 Instead of giving the yellow hero a facelift, though, Hackaday’s Mike Szczys has instead made the game’s graphics even simpler with his 1-Pixel Pac-Man de-make that you can build yourself.